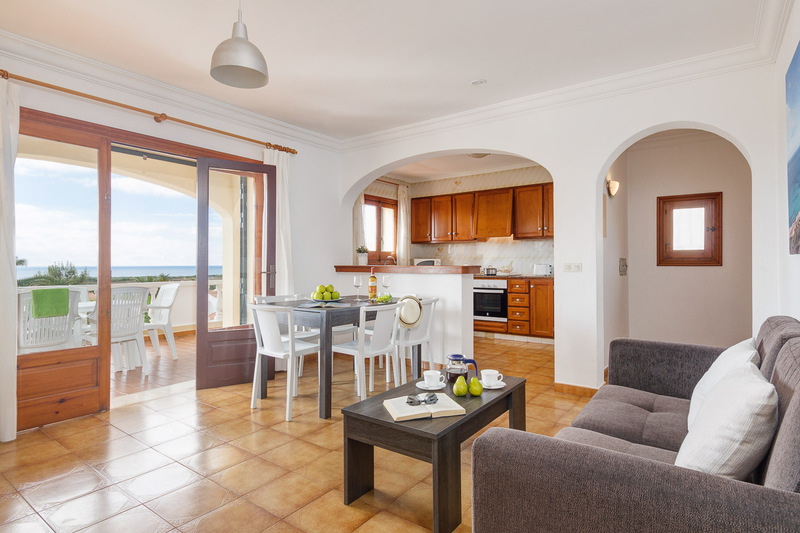 The Maritim Son Bou Apartments consists of just four semi detached apartments located in the central area of San Jaime approximately 850 metres from the beautiful beach of Son Bou. 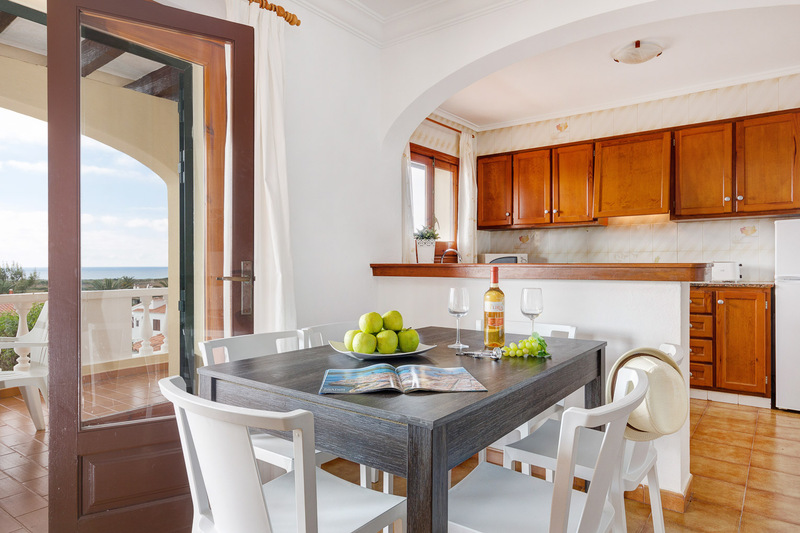 Smaller than a villa but a bit larger than an standard apartment, the Maritim Son Bou Apartments are single storey, comfortable and practical, making them ideal for all the family especially children. Although the apartments are attached to each other and the pool area is shared, each still retain their own privacy as they all have an independent entrance. 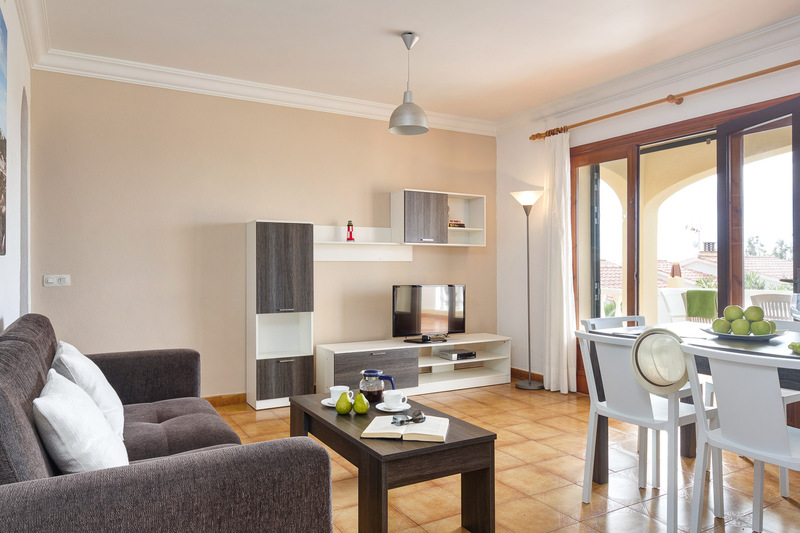 Renovated and redecorated in 2015, the Maritim Son Bou apartments have air-conditioning, widescreen satellite TV and a safe free of charge. 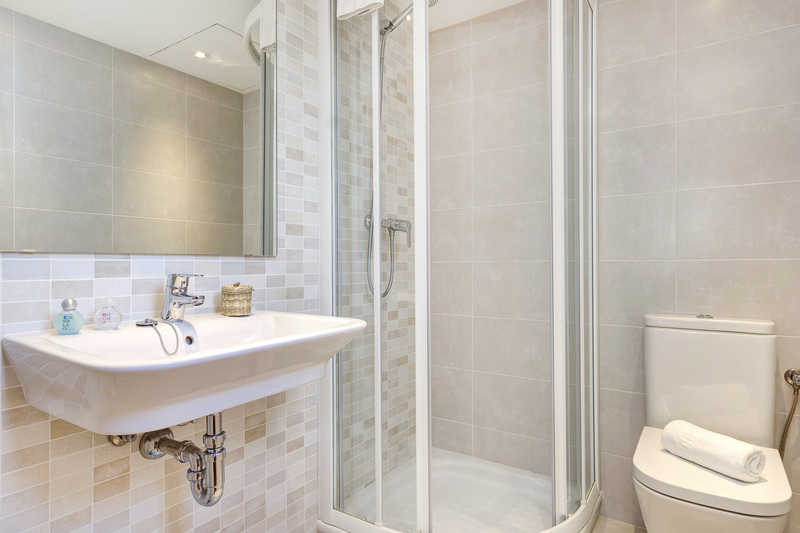 Each apartment has three twin bedrooms, one with an en-suite shower room and the other two which share a shower room. 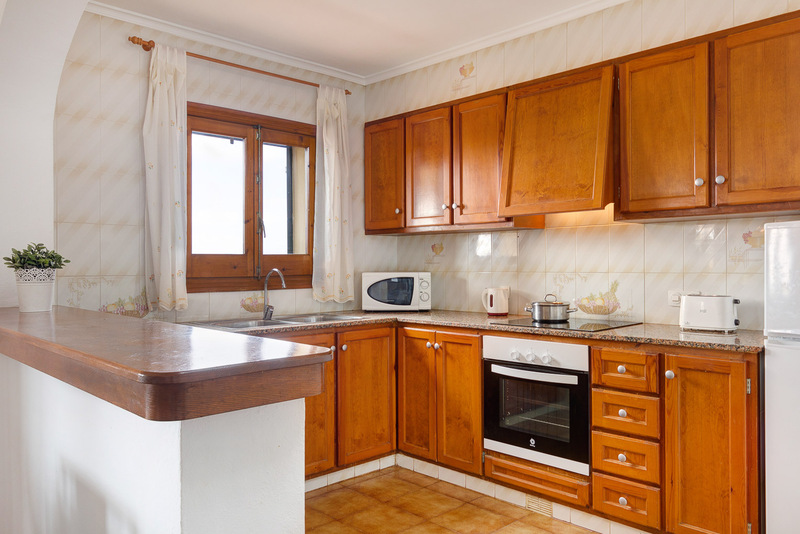 The homes have a wide dining-room and an open kitchen with ceramic-flat surfaces, an oven, a microwave, a fridge-freezer as well as other useful appliances, such as a toaster, juicer and coffee machine, etc. 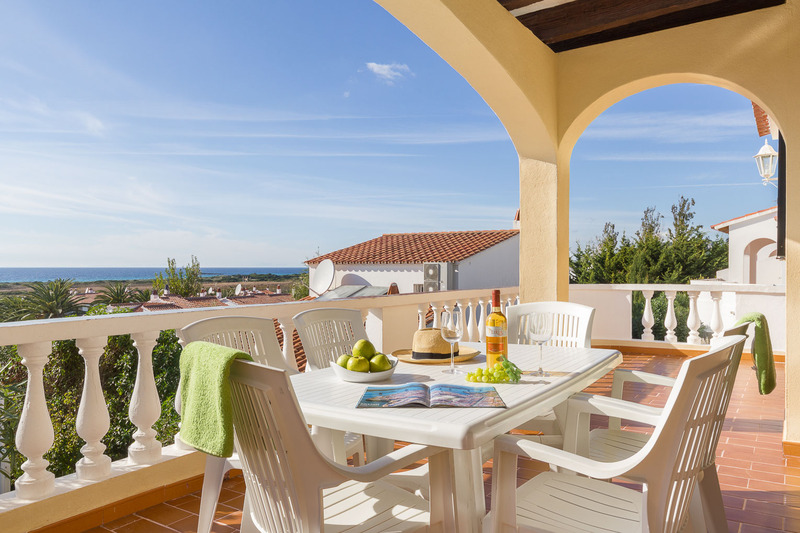 From the lounge there is access to the half covered private terrace with partial sea views, table and chairs, as well as a portable barbecue. Access to the pool area is via the rear side of the house although some of the apartments have a direct access from the terrace. The pool area is equipped with hammocks and parasols. 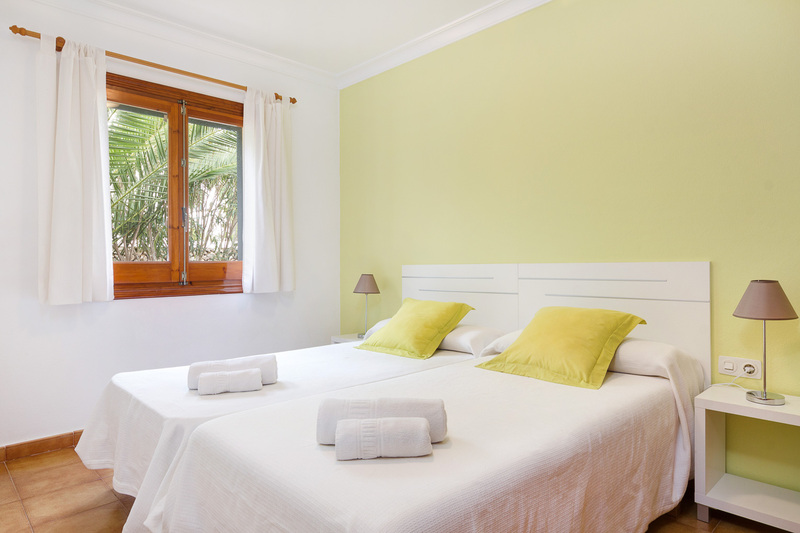 About 100 meters away from the apartments, there is a small shopping centre with several souvenir shops, newsagents, a bakery, a supermarket, a medical centre, the Son Bou Scuba diving center and the bar-restaurant Club San Jaime, where there is live music. Heading towards the beach, is a second slightly larger shopping centre with a larger selection of bars, restaurants, shops, and pharmacy etc.